In case of road networks, for the clients to disseminate data, wireless broadcast is a scalable and secure strategy. As far as network partition index (NPI) is concerned, it doesn’t address certain problems; as to how to handle if there has been a large number of data objects in broadcast system, in the same way how to handle link errors and cache management. 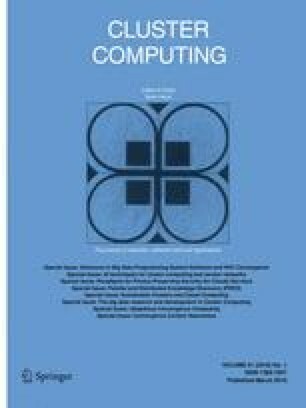 Hence, to address such problems, hybrid spatial air index (HSAI) an NPI based air index has been proposed wherein hybrid broadcast scheduling, adaptive XOR-based network coding and adaptive cooperative caching are effectively used for spatial queries in road networks. Experiments are conducted for evaluating query performance and HSAI is compared with state-of-the-art NPI. The experimental results show the outperformance of HSAI. Not as a customary gesture but with profound academic humbleness, we are immensely thankful for going through this scholarly task and putting up reviews. All reviewers deserve our gratitude for their reviews have definitely proved helpful in enlightening us and finally we respect the comments and suggestions that encourage us to further improvise the presentation of the paper.